Tonsil infections occur when the tonsils which are the lymph nodes that are on the sides of your throat, become inflamed. This typically occurs in children, however, it can also happen to adults. When the tonsils become inflamed, they become larger and range from mild to severe in condition and severity. Some common symptoms that you might experience include bad breath, runny nose, difficult swallowing, sore throat, swollen glands etc. This is a highly contagious disease which makes it essential that you get treatment right away. So, in this article, we will look at some of the best solutions for tonsil infections so that you can deal with this issue as soon as possible. One of the most common home remedies to deal with it is simply a mixture of salt and water. You will need to mix one tablespoon of salt with a cup of warm water and then gargle the solution. Do not swallow the solution, but gargle for a couple of minutes and repeat as often as you can. Gargling this solution is also how to get rid of tonsil stones as well as treat tonsillitis. The next remedy involves lemon, salt, honey and water. Lemon is well known for its anti-inflammatory properties and it can definitely help you to get rid of this nasty infection. You will need to mix the juice of one lemon into a glass of water, add a pinch of salt and mix in a tablespoon of honey. Once you’ve thoroughly mixed the solution, drink it. You should drink this solution twice per day for at least a couple of days in succession. 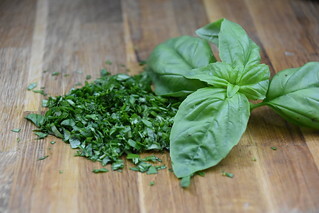 Another common kitchen ingredient that can help you to combat your tonsil infection is basil. It will help to reduce pain and swelling due to its anti-viral and anti inflammatory properties. You will need to add twelves basil leaves to one and a half cups of water and place it to boil for ten minutes. Then, you can strain the water and add the juice of one lemon to it as well as a teaspoon of honey. You then drink this solution three times per day for two to three days. Another great ingredient that you can use to fight tonsil infections is turmeric. You should get turmeric powder and add a teaspoon of turmeric to a glass of water or salted water. Then, you gargle it just before bed as well as multiple times during the day. This will help to get rid of soreness and ease the swelling. In the event that any of the above solutions don’t work and the condition seems to be worsening, then you definitely need to see a doctor right away. They will provide you with the right medications to address the infection as well as advise on whether you need to get your tonsils removed or not. In conclusion, we have just looked at some of the best solutions for tonsil infections. Be sure to keep these in mind and put them into action once you start to feel any of the common symptoms of a tonsil infection or tonsillitis. Tonsil stones are small, off-white deposits which usually form in the fleshy pad at the back of the throat (tonsils). They are often caused by a lack of good oral hygiene. The ideal treatment for this infection depends on the size of the stones and the level of discomfort the stones cause.Small tonsils stones can be removed using certain home techniques but large stones should only be removed by a medical professional. So, can tonsils stones be removed at home? Cotton swabs can be used to push off tonsil stones from the walls of the tonsils. Wet both ends of the cotton swabs to make it gentle on the tonsils. Do the removal in front of a mirror and use a flashlight to help you locate the stones. After removing the tonsil stones, gargle your mouth using mouthwash or salt water. This will help remove debris and other remaining particles. You can either use an ordinary or electric toothbrush to help you remove tonsil stones. If you are going to use an ordinary soft bristle toothbrush, use a flashlight to help you locate the tonsil stones. Apply pressure on your tonsil until it becomes loose. Push the tonsil stones off and then remove the remaining the small tonsil stones using a mouthwash. When using an electric toothbrush, switch the brush on and apply pressure to the area the stones are located. Use the back side of the vibrating toothbrush to gently scrub the stones so that it may break the stones. Once you have removed the stones, remove any remaining particles using a mouthwash. Lemon juice contains vitamin C which is effective when it comes to tonsil stones removal. Just mix lemon with water and then gargle the solution around the tonsils. Once the stones have been removed, cleanse the areas where the tonsil stones were located. Gargling/drinking lemon or lime daily is also a great remedy for preventing tonsil stones as well! Tonsillectomy is a surgical procedure that is used to remove tonsil stones. This procedure is usually carried out as the last resort when the symptoms become adverse. It is the most preferred treatment method. A doctor can either carry out partial tonsillectomy or perform a complete removal of the tonsils. Partial tonsillectomy is less painful and a person who has undergone the procedure can heal quickly. Complete removal of tonsils, on the other hand, is painful and the patient will take a longer time to recover. Partial tonsillectomy is performed on people whose tonsils are still in good shape and doesn’t remove the tonsil completely. Complete tonsillectomy, on the other hand, involves complete removal of the tonsils. It is not a good idea to remove tonsils as they as they are a functional component of the immune system. However this is up for debate and can be an effective way to beat this infection. Cryptolysis entails removing tonsil stones using a laser. It is less painful and has a shorter recovery period than tonsillectomy. After undergoing cryptolysis, you can resume your normal activities and diet after one week. However, this method is effective in the short term and the stones can appear after some years as cryptolysis leaves tissues behind. Cryptolysis will only remove the tonsil crypt from the area where the tonsil stones developed. To prevent oral infection, you have to approach dental hygiene from all angles. Leaving out a step or two from time to time isn’t going to manifest itself in the form of an infection all at once, but you can develop conditions over time. If you have already had certain dental issues, like gingivitis, abscess or tonsil stones, then you know you have to take all the necessary precautions. Here are some of the important steps you should be taking to make sure that you prevent oral infection. Perhaps the most important aspect of dental hygiene and care is flossing. You want to be sure that you floss regularly, after every meal if possible. You also want to be sure you make it to the dentist for regular cleanings. Other regular dental hygiene tips include using a good mouthwash, and brushing at least twice a day, perhaps after every meal if you have time. Leave out one of those steps, and the consequences can start to compound. If you have visited the dentist for an oral infection in the past, they will have likely prescribed an antibiotic to help get rid of it quickly. It is important that you stay on top of the above dental hygiene practices to prevent oral infection in the future. Additionally, there are other things you can do as well. When it comes to mouthwashes, some people find out that products that contain alcohol are too harsh on their teeth and gums. There are great alcohol-free mouthwashes out there. Dentists have their recommendations. I use a mouthwash that is alcohol free. You might be wondering what kind of toothpaste to use. There are toothpastes for different situations, but I want to share with you what a dentist told me. It’s not so much what you use but how you use it. That being said, any toothpaste will do if you brush appropriately and often, as well as take the above recommended steps seriously. If your mouth starts to bother you, one of the things you can do is to rinse like you would with mouthwash using a saltwater solution. 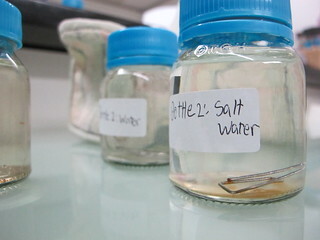 The saltwater solution acts to reduce inflammation of the gums, and it is soothing to your mouth. Be aware that sometimes particles of food can get stuck, and it’s difficult to see them sometimes. You just have to brush, rinse, floss and do everything you can to make sure that you are keeping your mouth, including both your teeth and gums, healthy and clean. A combination of everything described will ensure that you prevent oral infections. Issues with your teeth can still arise of course, and they can stem from other health conditions and even dietary habits, too. And on top of the dental hygiene practices discussed, you might also want to look into natural solutions to bolster oral health. There are certain essential oils that work great as oral rinses, and there are other suggestions as well. Just don’t forget to floss, brush and rinse as often as you should. Struggling with an infection? Well this is the site for you! Hello and welcome to GOGF Challenge, your gum, tonsil stone and oral infection treatment guide. My name’s Patrick and I’m here to make some of the most stressing problems you can have a little easier. I’ll be sharing some of the info I’ve learned from experience and online (don’t worry they’re credible sources – I always look on Google Scholar!) via blog posts and I’ll also have some videos for you to watch as well. So I am sure that you’ll learn something while you’re here. Thanks for coming and I hope you enjoy your stay.